Artist Amily Shen takes adult coloring book fans on a magical journey inspired by Alice in Wonderland. 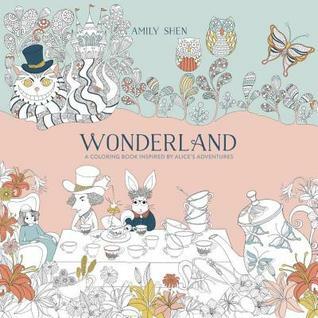 Follow the White Rabbit into this imaginative coloring book inspired by Lewis Carroll’s Alice’s Adventures in Wonderland, featuring intricate pen-and-ink drawings by acclaimed artist Amily Shen. Meet the Cheshire Cat, attend the Mad Hatter’s tea party, and play croquet with the Queen of Hearts in this evocative tale that invites you into a strange and beautiful new world of coloring. 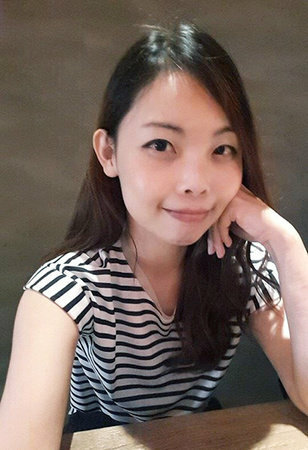 AMILY SHEN is a renowned Taiwanese artist. She had worked as a custom and shoe designer and is now a full-time illustrator and art instructor. She has published three bestselling drawing books. WONDERLAND is her first adult coloring book. What a delightful and reminiscent of childhood adult coloring book, and a joy to begin putting my personal stamp on. Amy Shen has created a beautiful coloring book, and a book full of delightful drawings; you will be able to spend hours getting lost in this one. From one page to the next, you will be contemplating how this page is going to look once you are finished with it. “Off with their heads”, and down the white rabbit’s hole, and an adventure with Alice and Wonderland and of course the Cheshire Cat, and as the cover states your invited to a new and strange beautiful world of coloring. Young Amish homemaker Marianne Jantzi invites readers into her family s life and Amish community. The mother of four young children, Jantzi writes about her daily routines and heartfelt faith with equal measures of wit and warmth. Sewing, cleaning, cooking, gardening, and helping to manage the family store take up most hours in her day, but Jantzi finds time to pen columns for the Connection, a magazine beloved by Amish and Mennonite readers. Never sugarcoating the frustrations of motherhood, Jantzi tells it like it is, broken washing machine and bickering children and all. But through her busy days, Jantzi finds strength in simple pleasures of family, fellowship with her Amish community, and quiet time with God. Marianne Jantzi gives a wonderful opportunity to look into the home and life of a young Amish woman, and her family. The book takes us with her and her daily life, and a very busy one at that. We are given a chance to see through Marianne’s eyes what she does each day, and you will need to come up for air, she seems to be the energizer bunny. Of course, life is not always easy, as with everyone, and she has had her struggles, and times of rushing her son with asthma to the hospital. Loved how honest she is with sharing, like a lot of Mom’s his medicine with her younger son. She suspected that Karl with his barking cough has developed the same aliment as Eric, and she used his puffer, in the end she has to take Karl to the hospital and finds he has croup, so like the rest of us. You are given a rare opportunity to be privy to this busy woman’s life, and although sometime it is a bit rambling, I enjoyed my time with her. Life isn’t just riding around in buggy, especially when you have four you children, and a shoe business to tend. Loved her thoughts when she admitted as a school girl she loved going back to school, and leaving the endless work behind, but in the end as an adult she enjoyed doing all the cooking, cleaning, gardening, canning, etc. If you have an interest in Amish family life, don’t miss this chance to really be absorbed into their home. I received this book thought Liftuse Publicity Book Tours, and was not required to give a positive review. 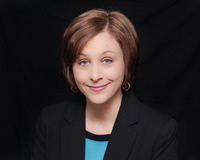 Fiona Lanier is the only woman in the tiny Gulf Coast settlement of Navy Cove. While her shipbuilding family races to fill the demand for American ships brought by the War of 1812, Fiona tries to rescue her brother who was forced into service by the British Navy. Lieutenant Charlie Kincaid has been undercover for six months, obtaining information vital to the planned British invasion of New Orleans. When a summer storm south of Mobile Bay wrecks his ship and scatters the crew, Charlie suffers a head injury, ultimately collapsing in the arms of a beautiful mermaid who seems eerily familiar. As Charlie's memory returns in agonizing jags and crashes, he and Fiona discover that falling in love may be as inevitable as the tide. But when political loyalties begin to collide, they'll each have to decide where their true heart lies. I grew up in the South, specifically North Mississippi, which has a rich tradition of fostering writers, storytellers, and musicians. I’m fond of both music and literature, so I amuse myself by teaching chorus and piano in an inner-city public high school by day, while conducting a secret life as a romance writer by night. Anyway, I find myself, after more than half the years I’ve been alive, still married to my last college boyfriend. He still makes me laugh, he still gives me the warm fuzzies, and he still checks my tires, so I guess I’ll keep him. We somewhat successfully raised two young adults, who are both married and have begun producing amazing grandchildren. My cup runneth over. Anyone who wants to know more about me should read my books and my blog. I am something of a hermit In Real Life, except in the classroom and on my computer, but I am very much interested in what makes my readers tick. And what ticks them off. And what makes them smile. So please email me here. I promise to answer. The Magnolia Duchess is the third book in this historical series, we are back for another visit with this strong family and we catch up on their lives. This is Fiona Lanier’s story, a young woman who would rather muck out horse stall than work at ladies genteel things. The War of 1812 is now raging its ugly head, and a chance ride on the beach at Navy Cove is about to change her life. She rescues an old friend from England, the enemy, but how had he washed up on her beach, and what is he doing here. He seems to have no memory at this time, but he is holding secrets. Will Fiona be able to resist her growing feeling for the invader, or will she be labeled a traitor? We know how this war ends up, but you won’t know what happens to the people we have come to know and follow, there is a lot going on, what with Sawyer being held captive, Maddy being a widow, and I loved being reunited with Desi. You are really immersed in this area of our country, the Gulf Coast, and the author has painted wonderful word pictures that carry us though and looking at this part of our world. Be ready for a fast paced, intrigue, espionage, and family-reuniting story. I received this book through the Revell Bloggers Program, and was not required to give a positive review. With a baby on the way, a toddler son to care for and a run-down farm, Amish widow Rebekah Burkholder is worried for her family's future. So when a kind, hardworking Amish widower with three children proposes marriage for sensible reasons, Rebekah accepts. She'll oversee Joshua Stoltzfus's household, be a loving mother to his children and try to reach his rebellious teenager. Joshua will make a wonderful father to her young son and the little one soon to be born. But as Rebekah unexpectedly falls for her new husband, dare she hope that Joshua will reopen his heart to love, too? Jo Ann Brown has been creating characters and stories for as long as she can remember. Her first stories were populated with her friends and sisters. She wrote her first novel in high school, and it happily resides in the very back of her file cabinet. 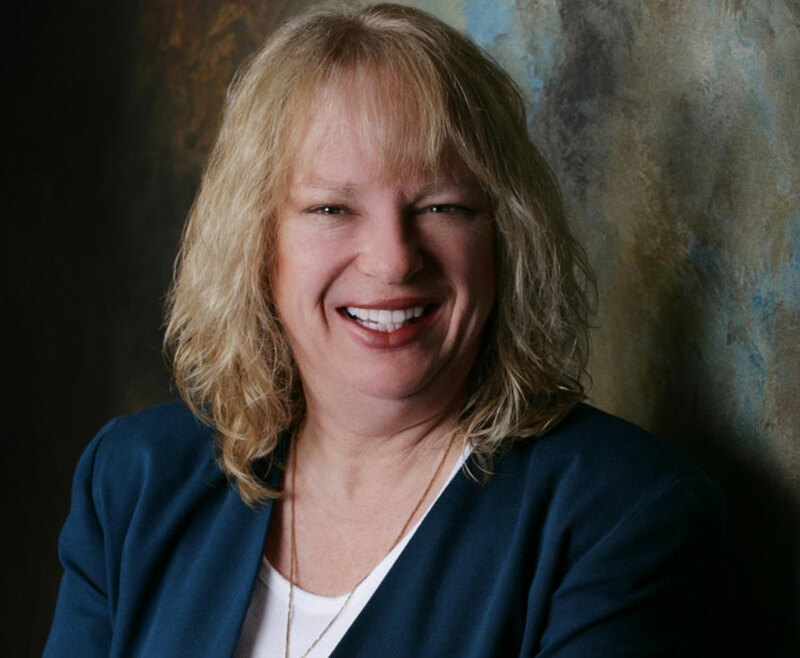 Fast forward through college, serving in the Army as a quartermaster officer, getting married, and increasing her blessings with three children...and Jo Ann sold her first book (a western historical romance) in 1987. Since it was published in 1988, she has sold over 100 titles and has become a best-selling and award-winning author. Romantic Times called her "a truly talented author." She writes romance, mystery, and paranormal under a variety of pen names. 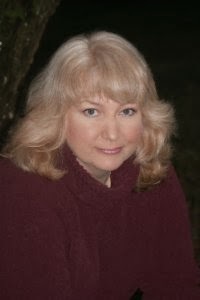 She currently writes for Harlequin Love Inspired Historical and Guideposts mystery series as Jo Ann Brown, and she writes paranormal, Regency romances, and mysteries for ImaJinn. 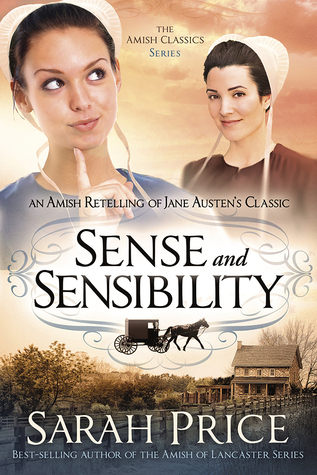 She also is co-authoring an Amish series for Berkley with Cameron Dokey. They write as Marianne Ellis. Her books have been translated into nearly a dozen languages and are sold on every continent except Antarctica. 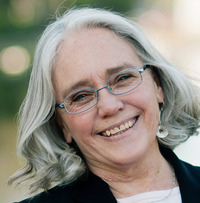 A sought-after speaker, she has been teaching creative writing for over 20 years, and she established several popular fiction courses at Brown University. She has always lived on the east coast, but now resides in Nevada with her husband and two chubby cats. It didn’t take long for me to begin walking in Rebekah Burkholder’s shoes and become absorbed in her life and her darling three year old Sammy. When Joshua Stoltzfus’s family badgers him to remarry he thinks of Rebekah a recent widow and decides he might as well help the both of them. Rebekah was married to one of Joshua’s best friends and he know he can never fill his shoes or replace her love for him, he is also three years widowed and still madly in love with his deceased wife. Rebekah is keeping secrets from her new husband, and he has noticed how she flinches from his touch, will he regret his decision? His family of two sons and a daughter welcome Rebekah and Sammy and love they way the house has cleaned up and the mouth-watering meals that they are now enjoying. Will all of this come to an end because of Rebekah’s past? Will his children decide they don’t want her in their live as a mother? Come and enjoy this really sweet, page-turning read. I’m so glad I turned the first cover. WHAT TALENTS HAVE YOU BEEN blessed with? What challenges have you faced and overcome? Who has impacted your life in a positive way, no matter how large or small the good deed? How did you feel when someone gave you a helping hand? When we focus on the positive things in our lives, we are replacing negative energy with positive affirmations. To put it simply, gratitude means being grateful for everything you have and are, every single day. This journal is a powerful instrument that provides a simple, yet effective foundation for your personal declarations of gratitude and thanksgiving. Discover your voice, your dreams, and the profound moments of your life with daily expressions of appreciation. 100% of all author royalties from the Africa Collection gratitude journals goes to the Africa Heartwood Project. Learn more about them at www.africaheartwoodproject.org. Author MK McClintock MK McClintock, an award-winning author and life-long seeker and adventurer, is inspired by the good works of mankind and believes that within every person is a better version of themselves waiting to be discovered. She lives a quiet life in the Rocky Mountains. Blast Giveaway $50 Amazon Gift Card or Paypal Cash Ends 5/2/16 Open only to those who can legally enter, receive and use an Amazon.com Gift Code or Paypal Cash. Winning Entry will be verified prior to prize being awarded. No purchase necessary. You must be 18 or older to enter or have your parent enter for you. The winner will be chosen by rafflecopter and announced here as well as emailed and will have 48 hours to respond or a new winner will be chosen. This giveaway is in no way associated with Facebook, Twitter, Rafflecopter or any other entity unless otherwise specified. The number of eligible entries received determines the odds of winning. Giveaway was organized by Kathy from I Am A Reader and sponsored by the author. VOID WHERE PROHIBITED BY LAW. When Mattie and Bo cross paths, all signs point to disaster. Yet as they face a crucible of trials and tragedies together, longings begin to stir that seem destined only to end in more heartbreak. Is a miracle possible—not only of healing but of forbidden love? What secrets lie in Bo's dreams? And will Mattie find the courage to face her uncertain future . . . or will she simply run away? Mattie Diener is a mother of two young children and a recent widow, when her three year old is taken to the doctor and her worse nightmare begins. When CPS is called in because of suspected abuse, she meets Boaz Lambright, an investigator. He understands right away that an Amish woman speaks Pennsylvania Dutch to her children and they don’t learn English until they go to school. He does not think there is any abuse, but politics, greed, and unprofessional work get in the way. Unfortunately, things keep happening, and your heart is going to ache for Mattie, there has to be a way to help her. Things continue to go from bad to worse, but somehow Mattie and Bo are drawn together in a different sort of way. As Mattie finds herself attracted to Bo, we know that it can never be as she lives her faith and he is of the world, but how can God put these two together and not get Mattie shunned? A different type of Amish story, and one that can touch close to home with some, a book that once you start on the first page, you keep turning! Henry Detweiler dies unexpectedly, leaving his second wife and three daughters, Eleanor, Mary Ann, and Maggie, in the care of John, his oldest son from a previous marriage. John and his wife, Fanny, inherit the farm and, despite a deathbed promise to take care of their stepmother and half-sisters, John and Fanny make it obvious that Mrs. Detweiler and her daughters are not welcomed at the farm. When Edwin Fischer, Fanny’s older brother, takes notice of Eleanor and begins to court her, much to the disapproval of his sister, Fanny makes life even more difficult for the Detweiler women. In their new home, Eleanor wonders if Edwin will come calling while Mary Ann catches the attention of Christian Bechtler, an older bachelor in the church district, and John Willis, a younger man set to inherit a nearby farm. While Eleanor quietly pines for Edwin, Mary Ann does not hide her infatuation with John Willis. 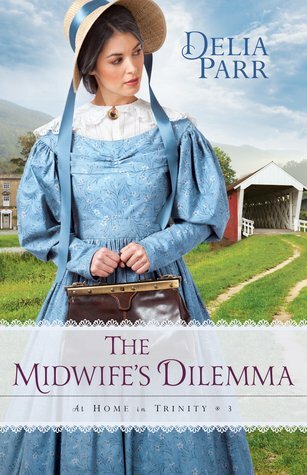 When the marriage proposal from John Willis does not materialize, Mary Ann is left grief-stricken and humiliated as the Amish community begins to gossip about their relationship. In the meantime, a broken-hearted Eleanor learns that Edwin is engaged to another woman. Will admitting her affections for him result in the marriage proposal Eleanor has always desired? Initially, she published as an Indie author, but now publishes with Realms, an imprint of Charisma House and Waterfall Press, an imprint of Brilliance Publishing. 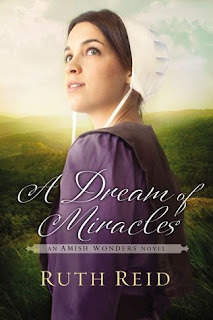 Her first book for Realms, First Impressions: An Amish Tale of Pride & Prejudice was released in May 2014 and debuted in the ECPA Christian Fiction Top 25 Bestseller List in June 2014. The Preiss family emigrated from Europe in 1705, settling in Pennsylvania as the area’s first wave of Mennonite families. The name later changed to Price. Sarah Price has always respected and honored her ancestors through exploration and research about her family history and their religion. At nineteen, she befriended an Amish family and lived on their farm throughout the years. 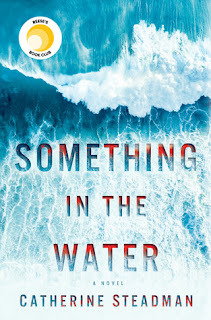 Sarah Price does an amazing job with this story and unfortunately for me I had it all read in less than a day, I wanted more, and there was with the epilogue, which I loved. When Henry’s oldest son takes a vow on his deathbed to take car of his family, and John agrees, you could feel the sick man’s sigh of relief. Of course, things are not about to be running smooth, when John’s wife banishes the family to the dawdi house, and talks her husband out of giving them the money he was supposed to give them. I hated that she had Maggie’s favorite climbing tree cut down, could really dislike Fanny. Wait until you see what God has planned for Eleanor and Mary Ann, and will choose correctly? What a read you are about to experience, and once you start you won’t be able to put it down. We meet manipulators at their worse, and you want to shake them, but we can only hope that these girls will come the their senses and follow God’s plan for their lives. We find that sometimes, the evil some people display does come back to haunt them, and then I felt sorry for them also. Don’t miss this great read you won’t be disappointed! I received this book through Net Galley and the Publisher Realms, and was not required to give a positive review. Quaker midwife Rose Carroll hears secrets and keeps con­fi­dences as she attends births of the rich and poor alike in an 1888 Massachusetts mill town. When the town’s world-famed car­riage indus­try is threat­ened by the work of an arson­ist, and a car­riage fac­tory owner’s adult son is stabbed to death with Rose's own knitting needle, she is drawn into solv­ing the mys­tery. Things get dicey after the same owner’s mis­tress is also mur­dered, leav­ing her one-week-old baby with­out a mother. The Quaker poet and abolitionist John Greenleaf Whittier helps Rose by lending words of advice and support. 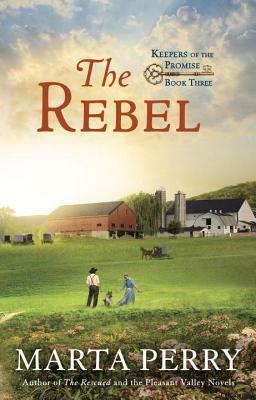 While strug­gling with being less than the per­fect Friend, Rose draws on her strengths as a counselor and prob­lem solver to bring two mur­der­ers to justice before they destroy the town’s carriage industry and the people who run it. Edith Maxwell is an Agatha-nominated mystery author. MURDER MOST FOWL, book four in her Local Foods Mystery series, releases in 2016. Edith once owned and operated the smallest certified-organic farm in Essex County, Massachusetts. 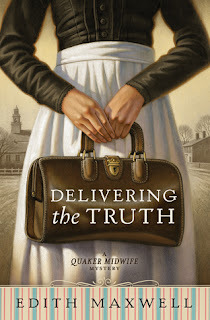 Edith also writes the historical Quaker Midwife Mysteries. DELIVERING THE TRUTH, featuring a Quaker midwife sleuth in 1888, releases in April, 2016. Edith is Clerk of Amesbury Friends Meeting. Her story, "A Questionable Death," is nominated for an Agath Award for Best Short Story. As Maddie Day, Edith writes the Country Store Mysteries set in southern Indiana. GRILLED FOR MURDER releases in 2016. BLUFFING IS MURDER, the second in Edith’s Lauren Rousseau mystery series (written as Tace Baker), features a Quaker linguistics professor. Edith holds a PhD in linguistics. 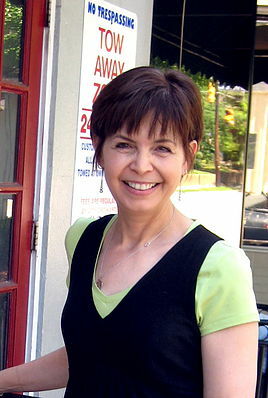 Her short stories have appeared in more than a dozen juried anthologies and magazines. 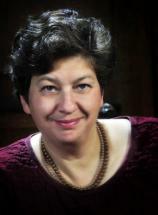 She is active in Mystery Writers of America and Sisters in Crime and is the Vice President of SINC New England. Edith, a fourth-generation Californian, has two grown sons and lives in an antique house north of Boston with her beau, their three cats, a small organic garden, and some impressive garden statuary. She worked as a software technical writer for almost two decades but now writes fiction full time. We get a real look into Quaker life in this story set in Amesbury, Massachusetts, in 1888. We meet midwife Rose Carroll as she goes about her work of helping women with their births and the babies as they spend their first few weeks on earth. Rose has taken up residence with her deceased sister’s family, and uses their porch for her bedroom and office. Life seems rather routine until the lifeblood of the town goes up in smoke. There are three factories burned to the ground taking many lives with it, and it was arson. Now Rose is privy to a lot of the goings on in this community as she goes about her work, and she has her suspicions as to who would have committed such a heinous act. Things go from bad to worse as murders start happening, and Rose becomes involved again. There is also a bit of romance going on between Doctor David and Rose, but then there is also his mother and her want of an upper class woman for a wife for him, you will wonder how that will work out. In the end I was wondering who would end up surviving with all the evil going on, and what a surprise when you find out the perpetrator of these crimes. I enjoyed this quick interesting read, and once you pick it up you will want to read until the end, you need the answers. I received this book through Net Galley and the publisher Midnight Ink, and was not required to give a positive review. It is a season that will set the course for the rest of her life. Martha will need every ounce of confidence, courage, and faith she possesses to overcome the obstacles that will make her life far more challenging and difficult than she can dare to imagine. 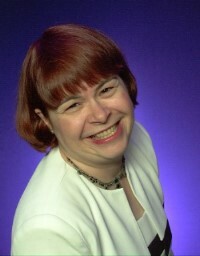 Delia Parr is the author of sixteen historical and inspirational historical romance novels, including The Midwife's Tale, Hearts Awakening, Love's First Bloom, and Hidden Affections. The mother of three grown children, she was a longtime high school teacher in southern New Jersey before retiring to Florida's sunny west coast. In between visits to her grandchildren in several different states, she spends her time writing and volunteering alongside other women who share a bond of sisterhood as sisters of faith. We are back in Trinity, PA and spending time again with Midwife and Widow Martha Cade and the people that a part of her life here. Thomas who has wanted to marry Martha for years, actually from before they both married for love the first time, and keeps asking Martha to be his wife. Her main obstacle is find a replacement and knowing that person can take over as Midwife in Liberty. Now there are all kinds of new problems being thrown at her, and her daughter Victoria is hitting her with a big one. She keeps trying to find a replacement, and Thomas finally gives her an ultimatum, you are in for a really good read as you find out which road God is leading her. All of our old friends are here, including Bird, and we are about to meet some new and some that we have know but not personally. There are some serious issues here and some warm hearted chuckles, and I recommend that you read the other two books in this series, it is not necessary to enjoy this one, but they are such rich and good reads you won’t want to miss. I hate to say goodbye to these dear friends, I want to know what happens down the road, and more, but I have enjoyed these books, and recommend them. I received this book through Bethany House Publishing, and was not required to give a positive review. In the final Keepers of the Promise novel, the acclaimed author of the Pleasant Valley series tells about a young Amish woman who must make a difficult choice, just as her grandmother did years ago. Central Pennsylvania, current day. Restless and adventurous, Amish Barbie Lapp has been stepping out among the Englisch. Minister Benuel Kauffman doesn’t approve of her choices, but he can’t deny the positive influence Barbie has on his wayward teenage sister. As Barbie is drawn to the kindness beneath Benuel’s gruff exterior, the mementos she finds in a dower chest given to her by her grandmother, Elizabeth, provide the insight she needs to decide whether to fully embrace the Amish way of life or leave it behind for forever. Lancaster County, 1960. 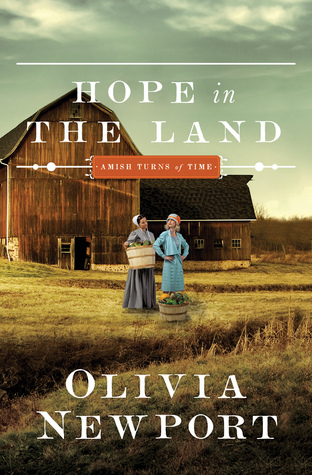 As working farms for the Amish become more scarce, Elizabeth Lapp’s husband, Reuben, tries to persuade her that they would be better off moving north. But the prospect of leaving her close-knit community of family and friends frightens Elizabeth. Can she muster enough love and faith to leap into a new life? Two women from one family, separated by decades, both find that the ultimate adventure takes place in the heart. The dream lay hidden for years while she pursued other career goals, but eventually it re-surfaced, and she began to write, beginning with short children’s stories for Sunday school take-home papers. After seeing hundreds of her short stories published in a variety of magazines, Marta finally started work on the novel she’d always wanted to write. Fifty-some published novels later, she still feels the same excitement when she begins a new book. 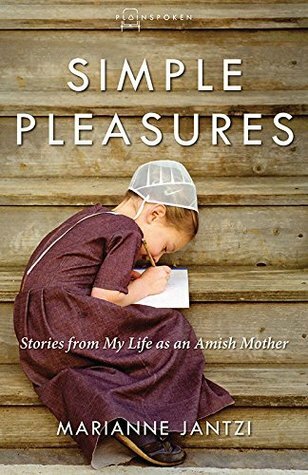 A lifetime spent in rural Pennsylvania and her own Pennsylvania Dutch roots led Marta to the books she writes now about the Amish. 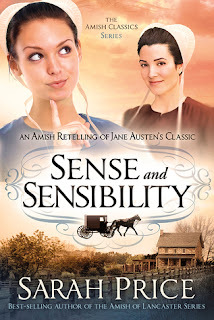 The Pleasant Valley Amish series from Berkley Books are longer, more complex emotional stories with Amish main characters, while the Amish Suspense series from HQN Books are more adventure-filled books set in Pennsylvania Amish country. She also continues to write for Love Inspired Books. Marta lives with her husband in a century-old farmhouse in the Pennsylvania countryside, but spends winters at their vacation home in South Carolina. When she’s not writing, she’s active in the life of her church and enjoys traveling and spending time with her three children and six beautiful grandchildren. The Rebel the final book in the Keepers of the Promise series has us following Barbie Lapp, the granddaughter of Elizabeth and the last of the three to receive her secrets and a gift. 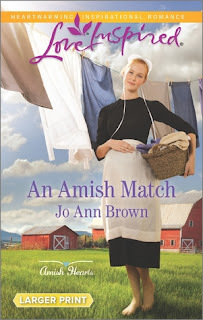 Barbi is having problems as the book opens dealing with her love of being Amish and worrying that she might be like her brother and ready to leave the fold. Will her grandmother’s wisdom be the catalyst to having her remain in her gamy? Or will it be her big heart and her love for people is the reason she leaves. Barbi puts her faith on the line more than once in this story, is she playing with dynamite or is she embracing what God would want her to do? We also have Minister Ben who has been grieving over the loss of his wife, and also his mother, and has had his sister Mary helping keep the family together with his children and his father. Mary ends up being one of the reasons that Barbi may have to go English. Another great read by Marta Perry, and loved the story of Barbi’s grandmother’s life changing decision. I received this book through Net Galley and the Publisher Berkley, and was not required to give a positive review. When Henry Edison turns up in Lancaster County to survey farm women about their domestic contributions during the 1930s, the last thing Amish housewife Gloria Grabill has time for is the government agent’s unending questions. Gloria’s hands are already full with a farm to run alongside her husband, a houseful of children, and an English neighbor, Minerva Swain, who has been trying Gloria’s patience for forty years. 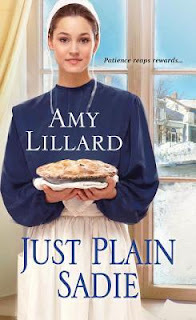 Gloria’s oldest daughter, Polly, wants nothing more than the traditional path of an Amish farmer’s wife, but everything she does seems to push Thomas Coblentz further away. While the Great Depression shadows the country in gloom, can Amish and English neighbors in Lancaster County grasp the goodness that will sustain hope? Olivia Newport’s novels twist through time to discover where faith and passions meet. Her husband and two adult children provide welcome distraction from the people stomping through her head on their way into her books. She chases joy in stunning Colorado at the foot of the Rockies, where daylilies grow as tall as she is. The time of this book is the 1930’s and takes place in Lancaster Pennsylvania, but it could be anywhere in the U.S., it is depression time, and the also a sever drought, dust bowl. College educated Henry Edison has secured one of President Roosevelt’s WPA jobs, and glad to work. His car dies as he arrives at the Grabill Amish home, and they open their doors to him. The family takes him under their wing, and especially Polly helps him with his fact finding. We also meet the Swains, the Grabill’s English neighbors, and particularly Minerva, who was a nemesis to Gloria when they grew up. So I instantly didn’t like her, but some things are deceiving and I am quick to judge, or was I? Polly is a good friend with the Swain’s daughter Rose, and we find that they both have big hearts. Again Minerva gets on my nerves with how she wants to rein in Rose, but Rose will have none to do with it, and shares her gifts with all. This is a time when good people end up stealing to survive, and we find lunch pails, and pies and canned goods going missing. Was a bit surprised that Polly’s friend, or was it Lena? Is going around with wagonloads of food, or canned goods? What is going on? There is also a bit of romance for Henry, but can it last with him in Lancaster and his girl in Philadelphia? Or will he find someone right under his eyes, sometimes people are very blind, and is this person someone that is even available to him? People seem to be struggling to survive everywhere, and lots of people are on the move, and it seems those that ended up here, even for a little while were better off. Come and get a glimpse at a hard time in our country, an interesting read. I received this book through Net Galley and Barbour Publishing, and was not required to give a positive review. I love to read a good romance book, with maybe some mystery thrown in. So for my gift on this Hop I am giving a $10 Amazon Gift Card, and hope you can that one you have been hoping to read. Dana Mentink enjoys writing in many different capacities. She currently writes for Harlequin's Love Inspired Suspense, Harlequin Heartwarming and Harvest House Publishers. Dana is the recipient of a Romantic Times Reviewer's Choice Award and an ACFW Carol Award as well as a Holt Medallion Merit Award winner. Dana loves feedback from her readers. Contact her via her website at www.danamentink.com. As you open the first pages of this book your about to see how the unconditional love of a dog is about to change many lives, some for the good, and others, well may they get what they deserve? 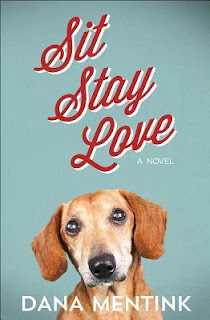 When famous Falcon’s pitcher Cal Crawford’s mom passes away he inherits a dog, and he instantly finds a dog sitter. Tippy is all of a sudden devoted to Cal, wants him by her side when she eats. He complains, but is it really the dog that is bothering him? You will get a great mind picture of Tippy with socks on, loved it and could hear those little nails get quiet. Of course the dog sitter, and out of work schoolteacher, and coming off a relationship, Gina, falls head over heals in love with Tippy. I think that she quickly had a spark with Cal too, but he is so grumpy. There are deep feelings here, and God is working in their lives, and the lesson of forgiveness, a really hard thing to do, is rearing it head here towards Cal. This is a really enjoyable quick read, and once that first page is turned you won’t want to put it down. I loved it! 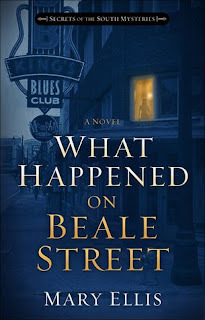 When Nicki Price receives a frantic call from her old high school friend Danny Andre, she rather blows him off, but seconds after she hangs up she has regrets and heads from New Orleans to Memphis as fast as she can. Her employer and cousin Nick also knows Danny, and goes with her, only to find him deceased, he was murdered. We delve into Danny’s life and find him to be nothing like he was in high school, and with regrets Nick decides to find out what happen to this classmate. We also meet Danny’s sister Isabelle, Nick had a crush on her in high school that was not returned, and meeting her again, he still likes her, but thinks she puts on airs. We are about to discover that first impressions or thoughts are not always how things are, and when the Price’s offer help, reluctantly Izzy accepts. I loved Nicki, what a vivacious and fun character she is, and really seems to care about people. She takes the concierge’s grandfather under her wing, and a new adventure begins. I really enjoyed this story, and was surprised at who finally turned up to be the murderer, and guess I should have seen it coming. This is a sad, but filled with adventure mystery, and recommend it as a good read, and one you won’t be able to put back down once you have turned that first page! With Ezra Hein, Sadie at last feels the joy she nearly gave up on. Unfortunately, others only feel shock that she would consider marrying an outsider. To complicate matters, Chris has finally begun talking to Sadie about their future. Distressed, Sadie will have to search her heart to recognize God's marvelous gifts to her--and find the courage to accept them, challenges and all. Just plain Sadie, I know the Amish are not supposed to be vain, but to think that others are attractive, but your not. How sad! Our Sadie feels this way, but friends and family surround her, and all she really wants is to become an Amish wife and mother. When her life long friend Chris, whom she has expected to marry, drops a bombshell that in a few months he will be leaving to travel Europe. This is a secret that he is keeping for the time being, and he has assured her that he will return, and will she wait for him. Sadie knows at this point that he will never return. Enter a chance meeting with that Mennonite man, as her community refers to him, Ezra is smitten with Sadie. He has his own problems, and resentment of his father, and totally takes care of his mother. Funny Sadie in his community is referred to as that Amish girl. Two religions from the same roots, and yet broken apart so many years ago but their own people, this is now affecting the love of these two. Sadie’s mom has already lost one of her daughters to the English, and you can read that amazing story in the first book in this series Caroline’s Secret. Will Sadie decide not to leave her faith and not cause her mom additional pain, or will Chris change is mind and be the man she has always thought him to be. For sure God has his hand in here and what we want to happen isn’t always his plan. This is a quick and good read that keeps you wondering from the first page. I received this book through Net Galley and the Publisher Zebra, and was not required to give a positive review.